Access to affordable family dentistry allows you to keep your healthy smile, and it all starts with a routine dental exam. If you find dentists to be intimidating, understanding exactly what happens during an exam can help ease your fears. In a nutshell, your dentist will perform a thorough inspection of your teeth and mouth. After the exam, he or she will discuss your dental health, your risk of tooth decay, and what type of preventative measures you should take. Here are a few more specific details about what happens during a typical dental exam. 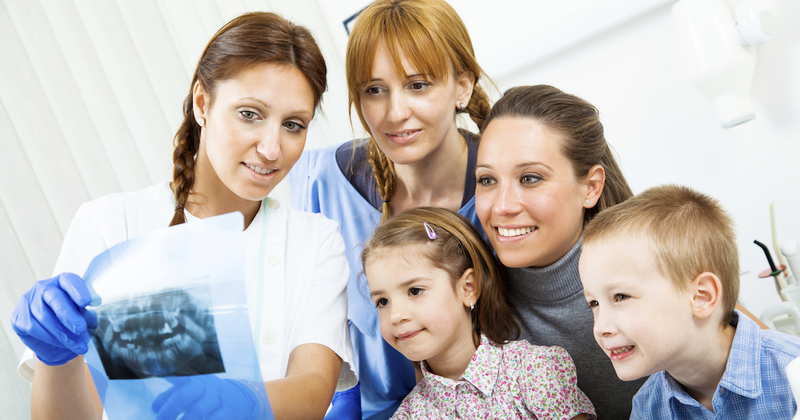 With good hygiene and regular checkups at your family dental clinic, every generation of your family can enjoy confident, healthy smiles. To find dentists that you can afford, check family dental listings online or in your city phone directory, or contact your local dental health organizations or dental schools for more information.